West London, both combing the market for good second-hand traditional British men’s clothing. A business partnership is soon started with their own small stall in Portobello, selling on the clothing after cleaning and repairs. 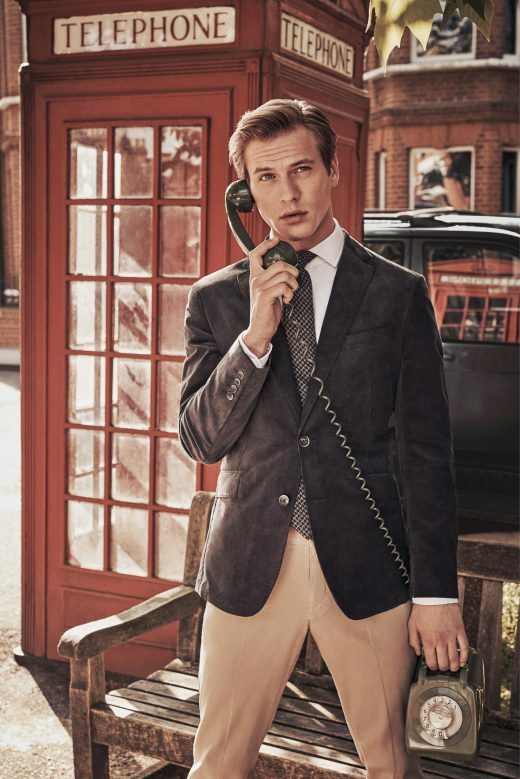 Today Hackett’s new collections are available globally and are celebrated for their re-interpretation of British style for today’s gentleman as well as their quality. From bespoke tailoring to iconic sports garments, Hackett’s fineries are as at home at Sandringham, as they are at Silverstone.